Last week I sat with a client who had been given a specific task. It’s end of financial year time for this client and with the Australian Federal election taking place, numbers are down. People are waiting to buy their products until after the election. We spent about 90 minutes in a conference room, we had the Eloqua Campaign Canvas beamed up on the wall and the whiteboard was getting a workout. However, I wanted to make sure that once the meeting was done, my client was able to go back to her office with a solid outline of what the campaign should look like. The above is an example of the Eloqua Campaign Canvas, not the one mentioned in this blog post. 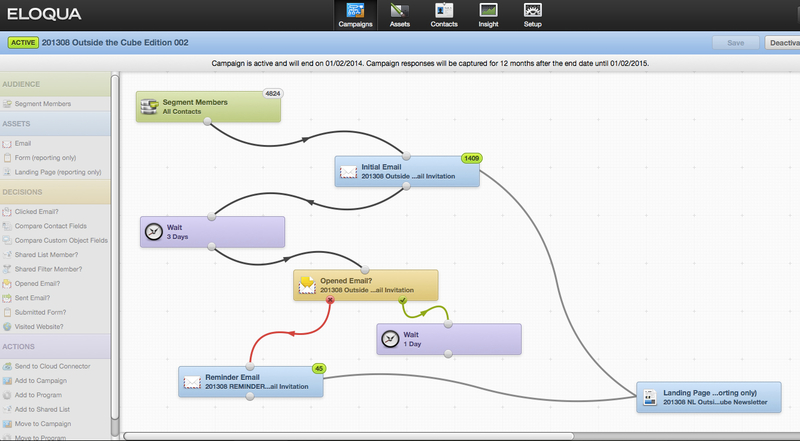 Using the Eloqua Campaign Canvas we built a logical campaign flow based on our knowledge of the target audience. In this case, it was customers who’d joined their “Club” with the promise of special offers. The contact database contained just over 4,000 people. That’s 4,000 people who had asked to be sent offers and information. To date, my client has not engaged this audience. There’s an opportunity here. Working with the eStore manager, we developed a bundle as a unique offer for this first Club email. 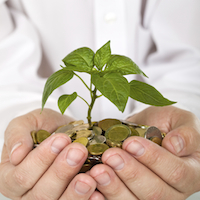 The bundled offer would be delivered via email with a link to an Eloqua Landing Page. From that page people would be taken to the eStore, select their products and transact the sale. We realised it wasn’t ideal to have the customer click on the email, arrive at the Eloqua Landing Page then have to go to the eStore, put the products in their cart and then check-out. Utilising Web Services, Eloqua will call out to the eStore and build the cart for the customer meaning they can go from the Eloqua Landing page directly to the eStore check-out. By doing this, they miss a step all together which means statistically my client is more likely to see less “cart abandonment” as customers experience fewer clicks in order to buy the products on offer. This session helped my client realise the time savings that can be achieved by using the Eloqua Campaign Canvas. It enables brain storming to take place and at the end of such a session, you have much of the work done. All that’s needed now is to add the assets to the stages of the campaign. 2 Months into the New Job	To Blog or Not To Blog?